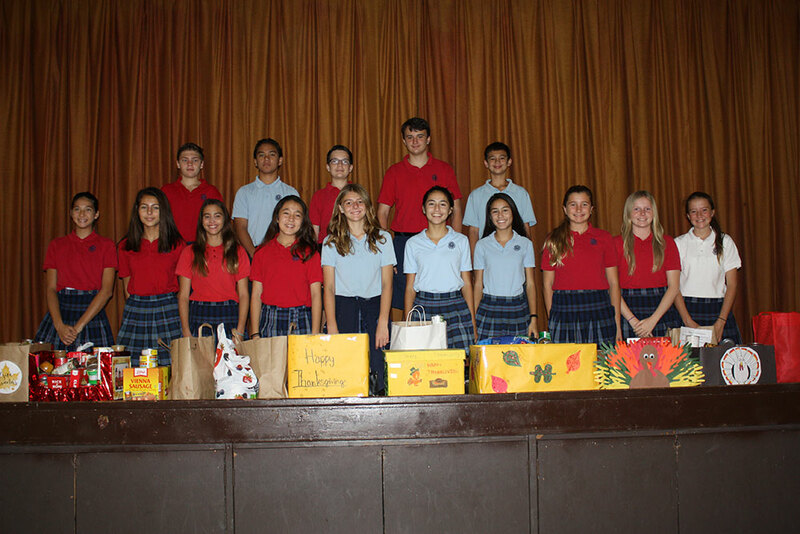 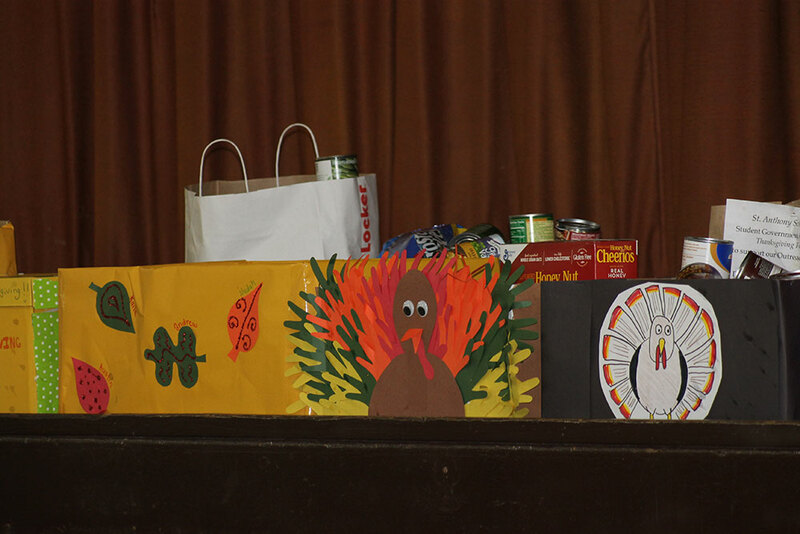 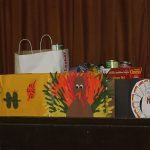 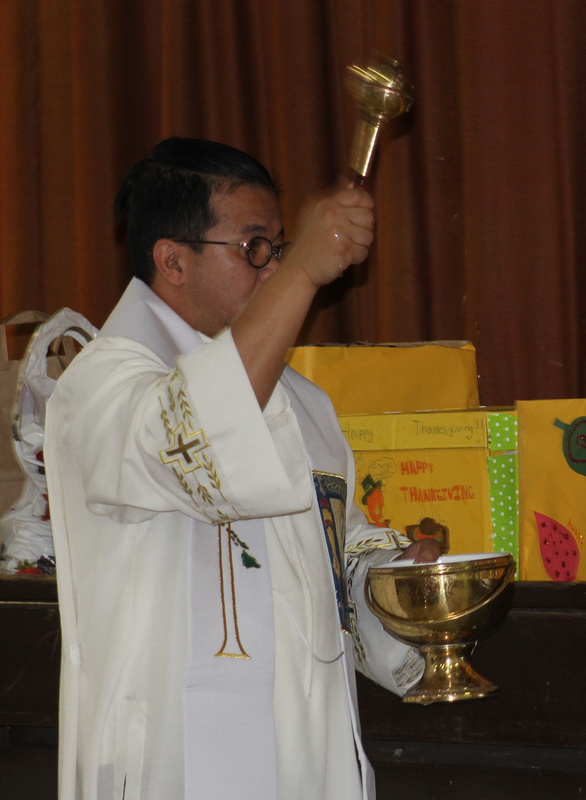 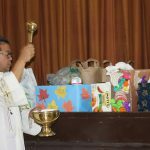 In November, the students held a Food Drive to support the Parish Outreach Program’s Thanksgiving Food Drive. 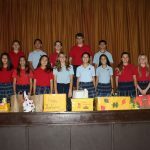 The students donated over 850 pounds of food. 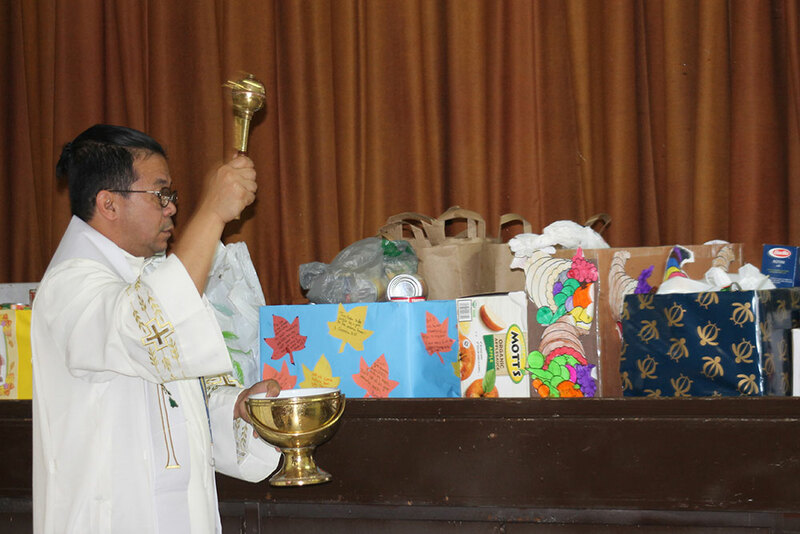 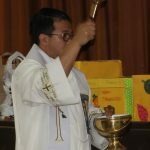 The food was blessed by Father Bong before being set up for the distribution.